Groenvlei Farm, home of Peter Falke Wines, sits in an important part of the Stellenbosch wine appellation, on the foothills of Helderberg Mountains. It is surrounded by producers of some of the finest red wines produced in this little region. The hot summer vineyards are fanned in the afternoons by cooling breezes off False Bay which ameliorate the heat in the afternoon. This allows for longer hang time and slower ripening ultimately leading to fuller colour and flavour in this wine. 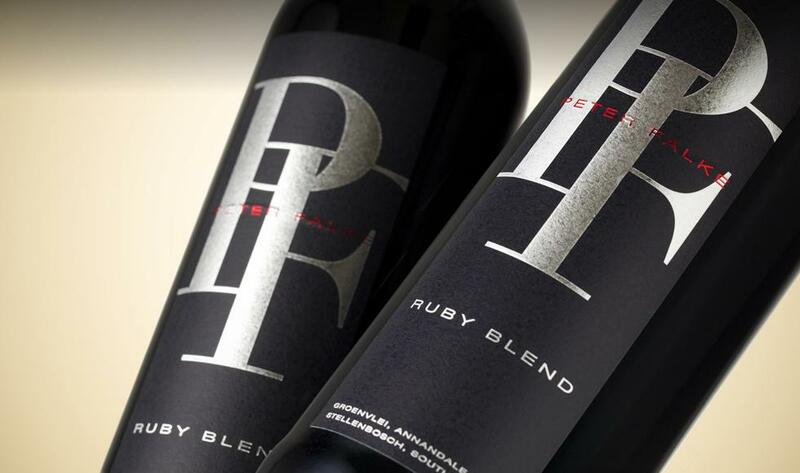 The grapes used in the Peter Falke Ruby Blend 2014 are a Cabernet Sauvignon led blend with Shiraz. Once ideally ripe and ready for hand harvesting, teams sort the bunches leaving any leaves, sunburnt berries and stalks behind. Once in the modern cellar on the Estate, Werner Schrenk – winemaker and GM – and his team destalk and then do a berry sort before the grapes are taken through for fermentation as whole berries in open wooden vats. Soft tannin and colour extraction take place during regular pumping of the juice over the fermenting cap of skins. After both alcoholic and malolactic fermentation, the grapes are pressed and the wine is matured for 18 months in 225 litre French oak barrels. The wine is then prepared for bottling. 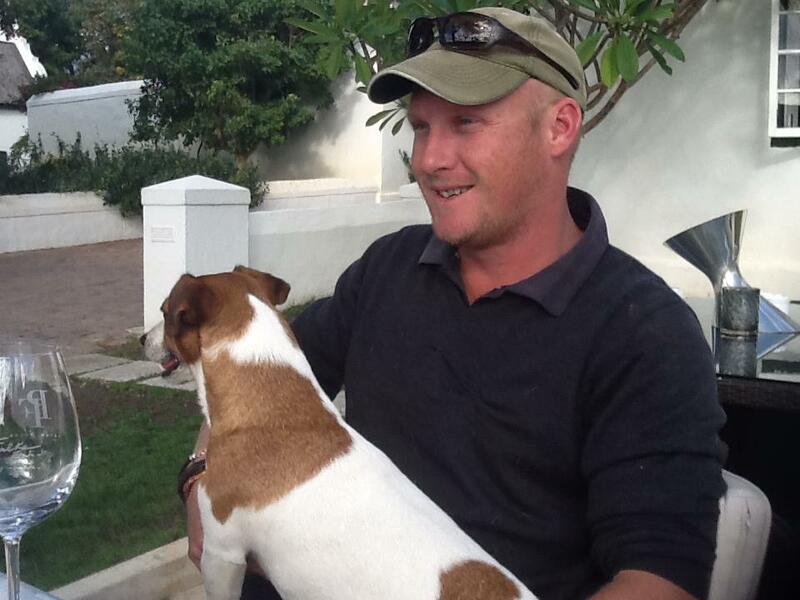 Peter Falke Wines is an excellent destination for a relaxed day. The wines are excellent, the menu is varied and the quality superb. There are lovely outdoor seating areas and a comfortable outdoor lounge midst whiffs of rose and lavender. The Estate is also open to visitors later in the evening than most, providing the ideal time for an after-work snack and a glass of the best they have to offer. Packed under a natural cork closure in a Bordeaux shaped bottle with an elegant black label. In the glass, a deep Satsuma plum at the core which pale out towards the meniscus. Spicy red and black fruit, supporting oak. The blackcurrant of the Cabernet and plums of the Shiraz beautifully spiced by the oak. Full mouthful with a perfect harmony of fruit, acidity, tannins, oak and long aftertastes. Here’s the ultimate food wine. Such a lovely glass. Being a spicy wine, it matches really well with red meats, roasted, grilled or braaied, served with a good sauce. 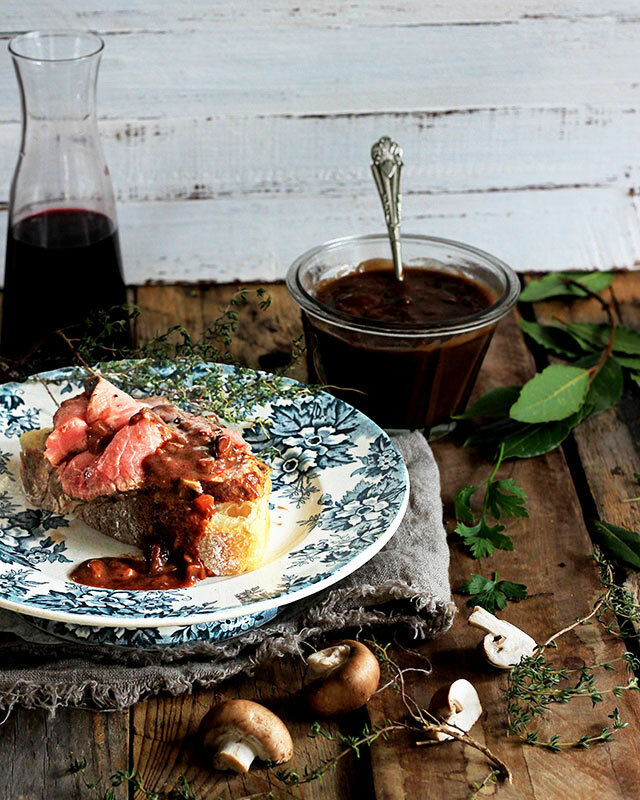 Lizet Hartley’s Bordelaise Sauce is just perfect as an accompaniment to a good piece of roasted or braaied beef. Click here for her recipe. Listen to my 60 second Fine Music Radio podcast, click the arrow on the right.